Single people and couples are free to take vacations, sure. However, most of the time when you’re talking about a “vacation,” you’re speaking to a family-friendly experience. Even if mom and dad want to go make their own fun for a little while, it’s always a good idea to look out for attractions the kiddos will enjoy. Orlando makes that job pretty easy. In fact, there may be no better place in the United States for a family-centered vacation than Orlando, Florida. There are numerous different sites to see and places to visit, but we’ve picked four that we think are the cream of the crop. 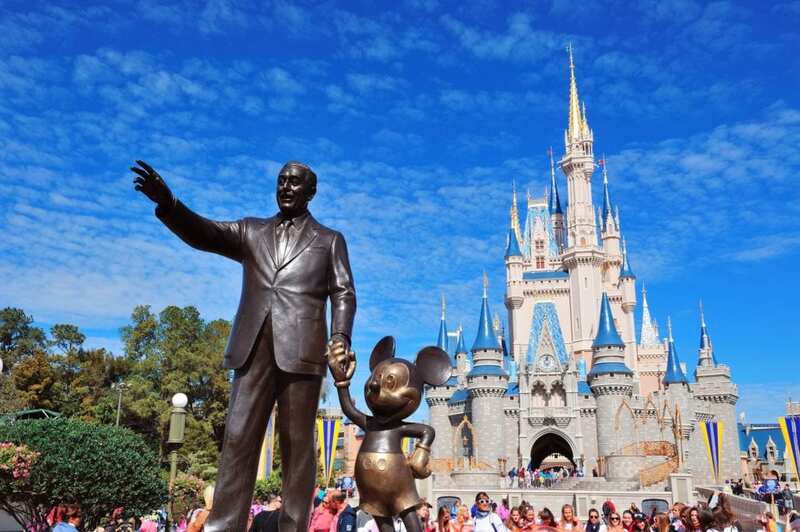 While perhaps being the most obvious addition to this list, it feels criminal to talk about family vacation hotspots in Orlando without mentioning Walt Disney World. The best thing about Walt Disney World is that it’s not just an attractive vacation destination for kids. Adults can also enjoy the thrilling rides and luxury restaurants found in and around Disney World on their own time. If you really want a magical Disney experience, visit during a holiday season, like during Christmas time or on Halloween. Like Disney World, Universal’s Islands of Adventure’s biggest draw is its variety. There are activities that are obviously for the younger crowd, like their frequent storybook shows and If I Ran the Zoo, but many attractions skew older. Teens and parents can enjoy their themed worlds, like Harry Potter and the Forbidden Journey, together, and the theme park features thrilling roller coasters that may not be suitable for children under 10. It’s the perfect addition to any vacation if you’re traveling with older children who may be “too grown up” for Disney World festivities. Epcot is technically part of Walt Disney World Resort, but it’s different enough that it deserves its own addition to this list. Epcot is the type of amusement park where you learn and explore while having fun. It’s famous for its international and multicultural themes, replication various settings within the park. Epcot even goes a step further by creating Future World, an attraction set that allows children to explore various aspects of the world around them — the Earth’s core, space, etc. You’ll have so much fun at Epcot you’ll forget you’re actually learning something! Finally, Discovery Cove is one of the most inclusive and well-regarded water-based theme parks in the world. If you really want to give your children amazing memories they’ll have forever, Discovery Cove allows children to swim with real life dolphins (as long as they’re over the age of six). Other incredible features include a lazy river for relaxing in the pool, hand-feeding exotic birds and snorkeling with incredible fish and rays. Orlando is an incredible place to vacation, but don’t forget to focus spending your money on incredible vacation opportunities — not on expensive hotel rooms. Book a short term rental with CuddlyNest and put more cash towards incredible experiences.